Okay so this is not the usual post. In fact, its nothing even remotely close to the usual. But this post could possibly send me on a trip to Macau, all expenses paid for three days and 2 nights, and who wouldn't want that? This is of course all thanks to the Macau Government Tourist Office and NUFFNANG Malaysia. Also all it takes is me rambling about what I would find interesting if I were to go to Macau. 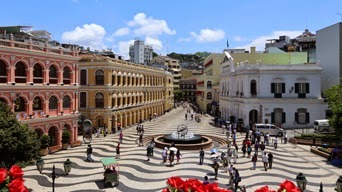 So what did I know about Macau before reading up on it in order to write about it? Truthfully? Nothing much. All I remember of Macau is hearing it in dialogue in old Hong Kong movies. Or of it taking place in Macau in one of those movies. Basically from those movies I got the impression that it's a getaway sort of place from the hustle and bustle of Hong Kong's hectic pace. It's the same way that you hear sitcoms and movies placed in New York always mentioning the Hamptons or how people mention the South of France when they talk of getting away. That sort of impression. I guess the Malaysian equivalent are the islands like Penang and Langkawi, or maybe Singapore. So I looked into what Macau is about in order to write this little piece and it turns out this little bit of geography which neighbours Hong Kong and mainland China has a fascinating history. Did you know that back in the 16th century that China gave Portugal the right to establish themselves there in exchange for getting rid of the pirates that trolled the waters around there? This little factoid I got from the Wikitravel entry on Macau even if it isn't historically correct it's a hell of a cool story, it's like something out of a movie. In fact why hasn't there been a movie about this? And did you know that it was under Portuguese rule until December 20th 1999. that's like 400 years! And it's the only place where gambling is legal in China and the only other than Hong Kong to have the "one country, two systems" formula of governance. And that this little piece of real estate makes more money from gambling than even the famous Monaco in the French Mediterranean? Impressive, right? 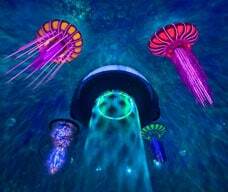 Anyway, looking around the Macau Government Tourist Office (MGTO) Website, their official Facebook page and the InterWebs in general I found a couple of things I found to be quite amazing to check out if I had the chance to get there. First up, the history. 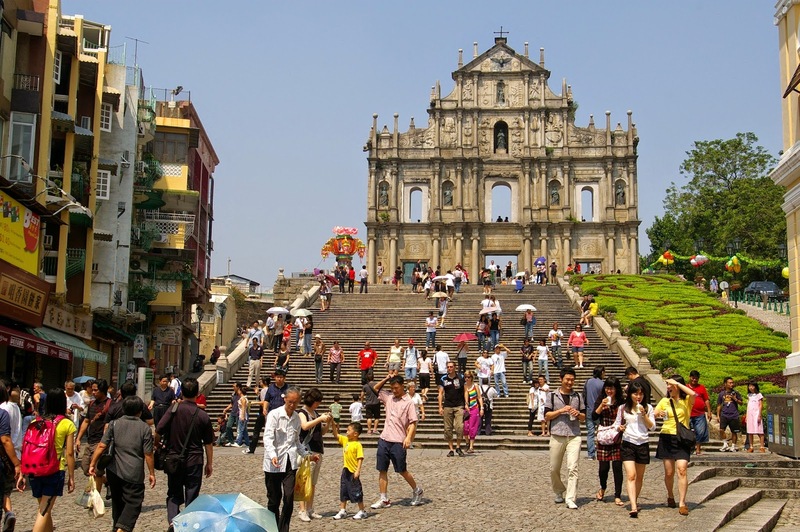 Macau has some 25 historic locations officially listed under the UNESCO World Heritage Sites which is understandable and they include everything from temples to churches to government buildings to notable homes. There are so many things to see in Macau but only three caught my eye. 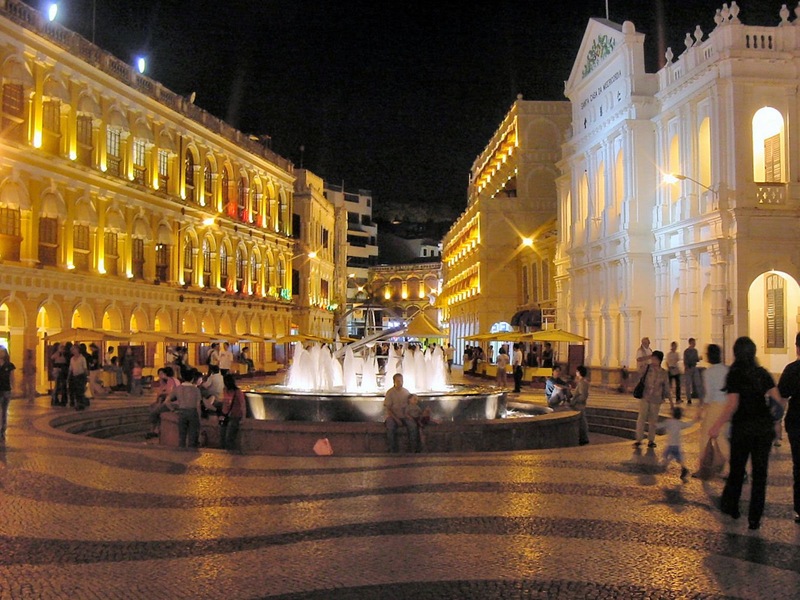 This quaint little square has been the urban centre of Macau for centuries and it's still is for all sorts of celebrations and gatherings and it would seem that there's an endless stream of tourist too, probably because so many other interesting spots dot the surrounding square. 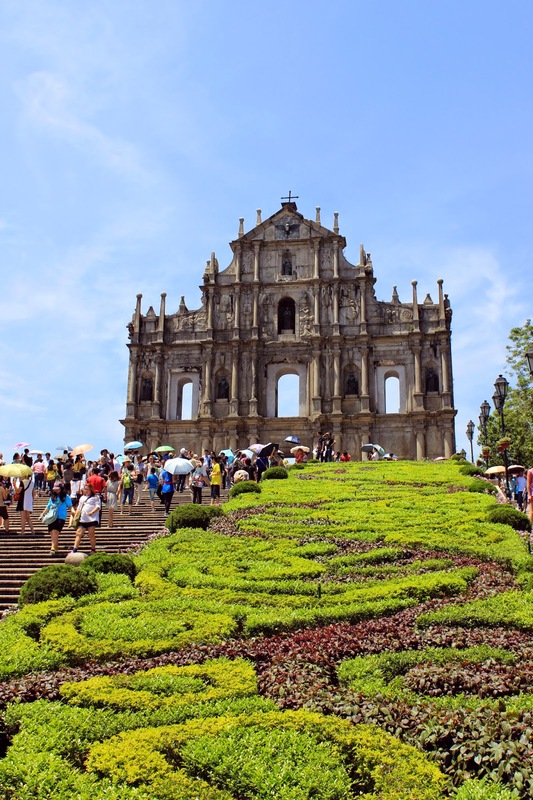 This is all that's left of a 16th-century complex in Macau including of what was originally St. Paul's College and the Cathedral of St. Paul also known as "Mater Dei", a 17th-century Portuguese cathedral dedicated to Saint Paul the Apostle. Some believe that because it's survived so much that it's a miracle. Apparently the story goes that A-Ma Temple (Templo de A-Má), existed even before Macau was known as Macau or even Macao. 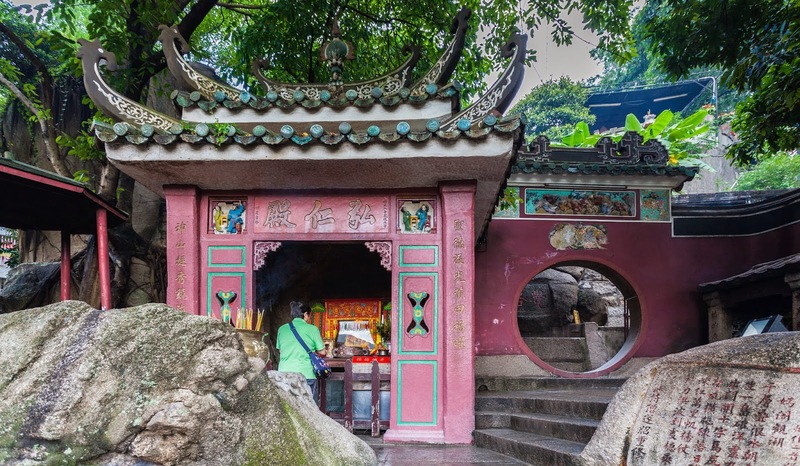 In fact, some say that this Taoist temple dedicated to Matsu was the source of the name Macao. 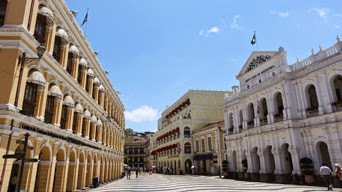 But Macau's history isn't just seen on the historic buildings scattered around the city it's in museums too and there's like a dozen of them all over Macau not including Art Galleries and museums dedicated to things like the Grand Prix and even one for Wines to cultural villages to gardens and many more. Three days and 2 nights is not going to be enough. Home to Shu Xiang and Qi Miao this complex was specially designed to house them as well as complement not only their own natural habitat as well as the surrounding area that houses the center. 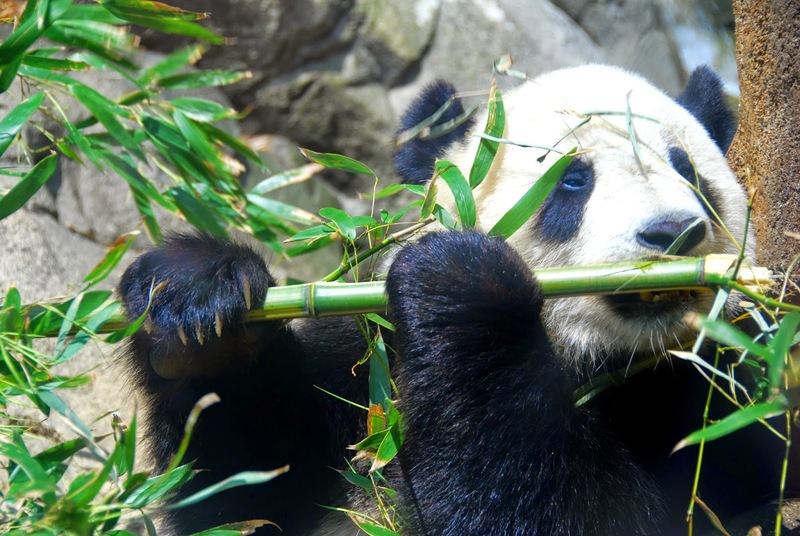 And frankly speaking who doesn't enjoy a couple hours of panda watching. Visit their official website here. 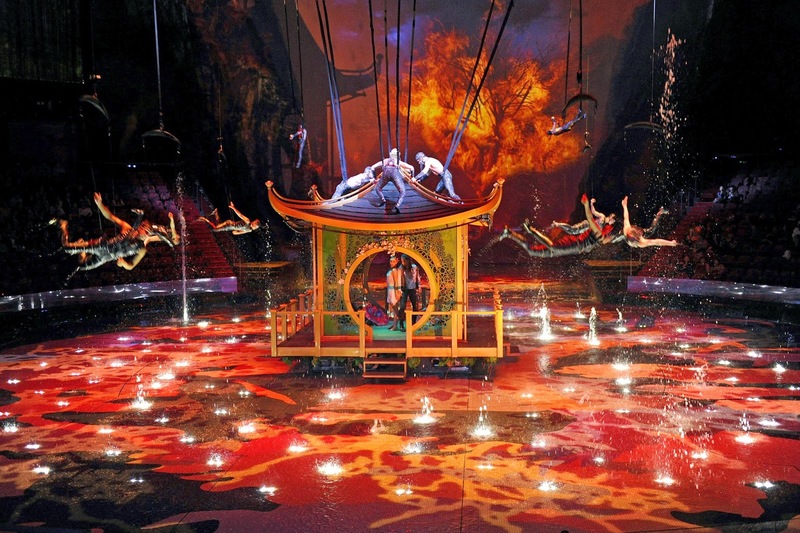 Costing over USD$250million to produce and created and directed by Franco Dragone who also directed Cirque du Soleil for several years this looks like an amazing and mesmerizing show. 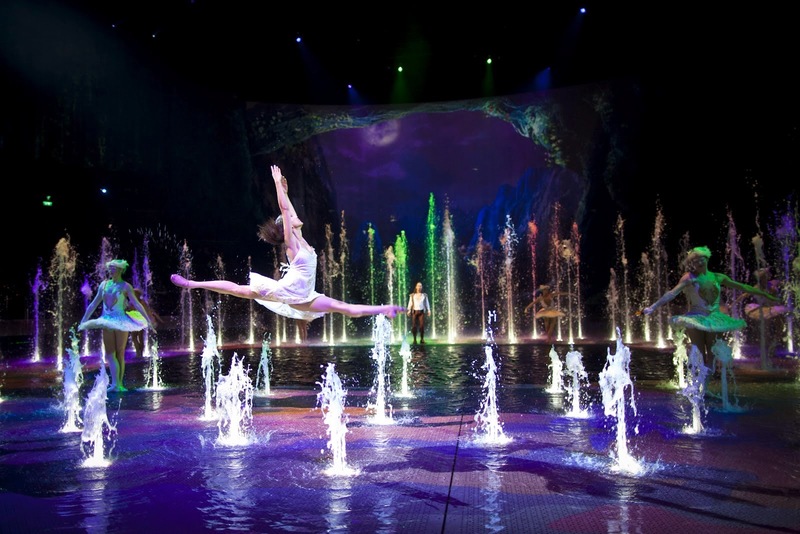 Called, The Bubble Show and located at the City of Dreams, this has become an iconic multi-media show that those who've seen it rave about. 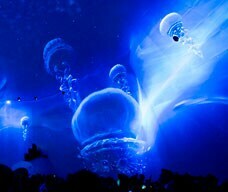 Based on the pictures I've seen it looks like a pretty cool and trippy way to spend an evening. 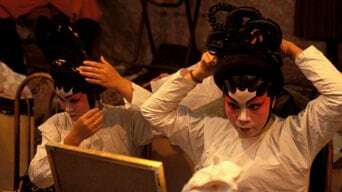 But since this is Macau and it has some of the oldest anything outside of Mainland China I think it would be interesting to go to the Yueju Opera (Cantonese Opera) which from the MGTO website says is 'Listed as a 'Masterpiece of the Oral and Intangible Heritage of Humanity' by UNESCO in September 2009, Yueju Opera is venerated by both the local and overseas Cantonese community. 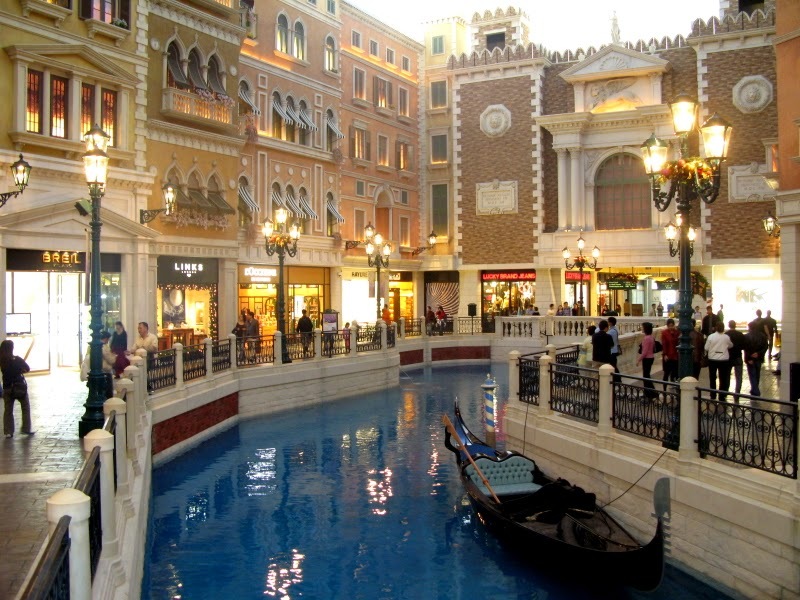 Inspired by the streets and canals of Venice this mall looks like an interesting place to wander around for a couple of hours window shopping and checking out the many street performers that perform there. Also you can go on a gondola ride. Yes, I know you're probably saying but what about the Grand Prix? It's one of the biggest events in the Macau calendar. Well, honestly I like machines because of their design and engineering and if I knew how to ride one like I how I drive a car I'd enjoy them in that way too but to hang around watching a bike or a car go around in circles or in the case of any live motorsport, have them whizz past you every 5 minutes, does not sound like fun to me. I'd rather go to a museum. And finally last but in no way least is the food. Actually wherever you go you have to check out the food, right? In fact, food is in some ways the most interesting part of travel. And again Macau does not disappoint, there's the famous Portuguese Egg Tart, which you can get from two locations which boasts of making the best in the world! 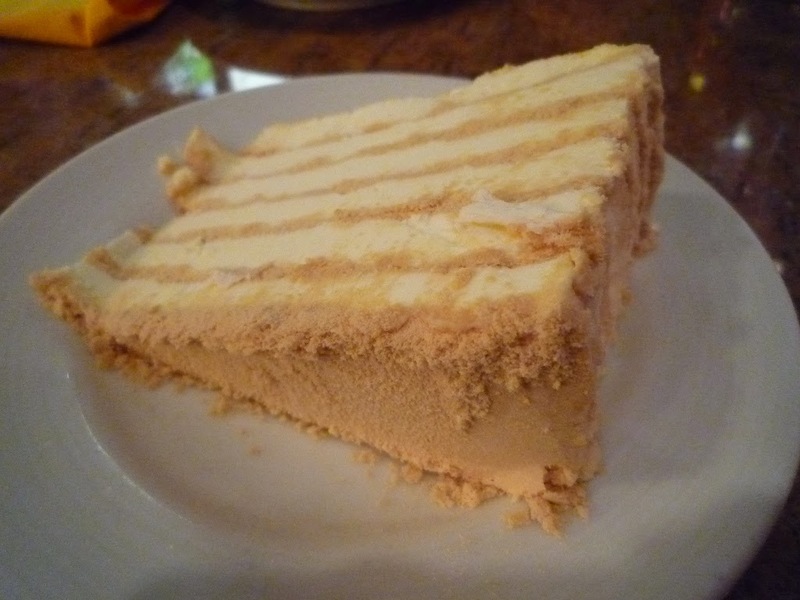 but I'd also like to try Serradura also known as Sawdust Pudding, a layered dessert of sweet biscuits (crushed super fine to resemble sawdust), cream, condensed milk and vanilla. 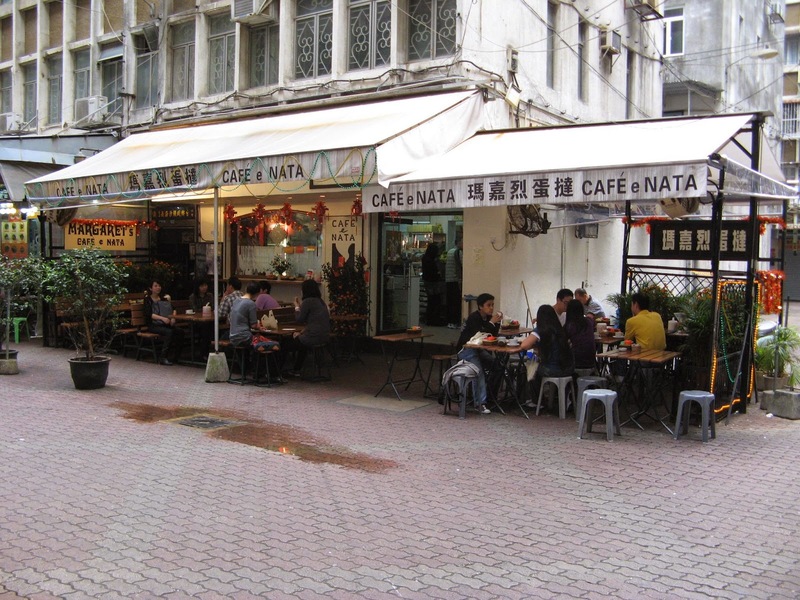 But I'm more curious about the local delicacies which go by the term Macanese and also some Portuguese dishes. Some of them include. 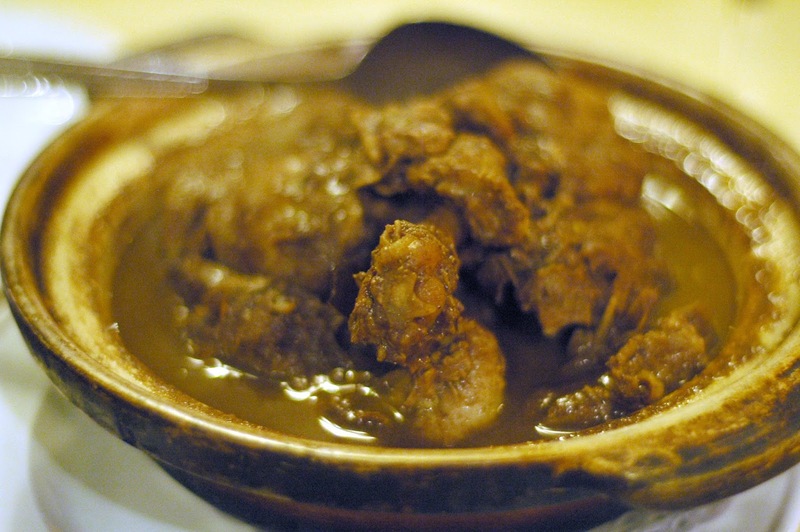 Pato de Cabidela (bloody duck), a very traditional Duck Stew that is a signature dish for both the Portuguese as well as the Macanese in Macau. 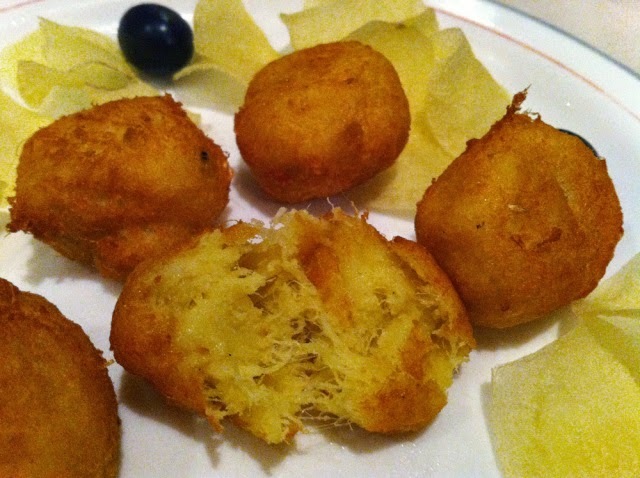 Bacalhau, a dish made with salted and dried cod fish they're prepared in a variety of ways but they look especially good when done like this. 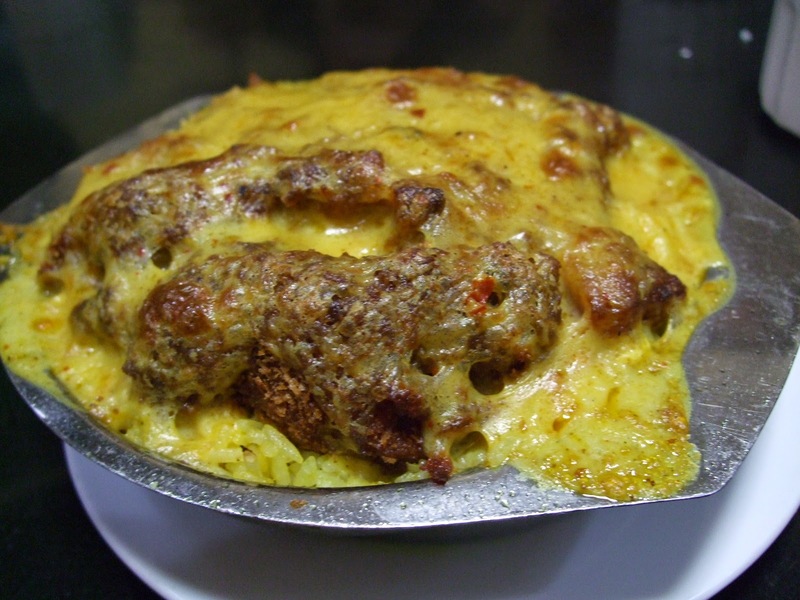 Galinha à portuguesa (Portuguese-style chicken), not really a Portuguese dish but really a Macanese one are pieces of chicken, potato cooked in a mild, coconut-based, curry-like sauce, baked till golden and with a distinctive aroma and sometimes served with boiled rice. 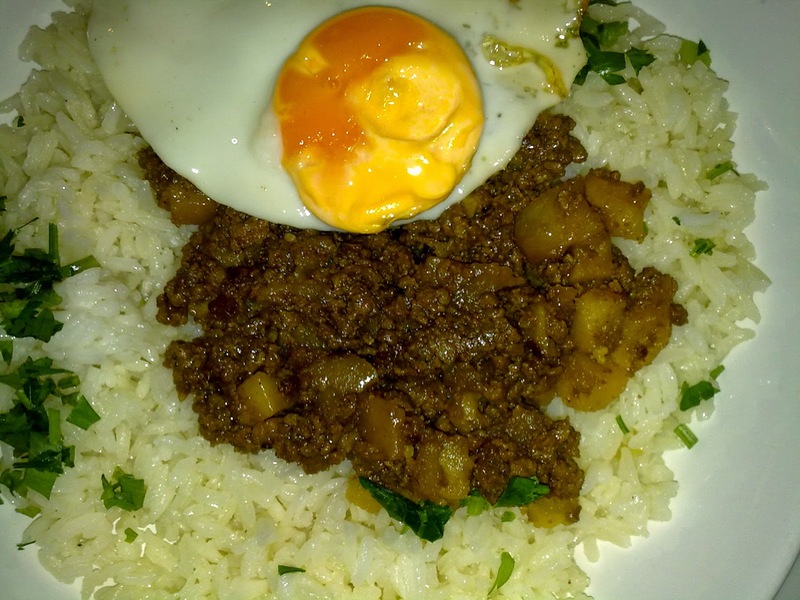 Minchi (Minchee), is a Macanese dish based on minced or ground meat. It is made with beef and flavored with molasses and soy sauce. Served with a fried egg on top it is minchee chow dan. Oh, wait, Nuffnang Malaysia said to let them know, and I quote, 'the Three Most Amazing Things that makes you want to visit Macau and why we should send you for this superb opportunity.' Well, I guess I screwed up but that's what happens when you start looking into a destination you've never been and then you find out that they have way too much to offer you when you get there. But what you see above is what I've narrowed it down to. And as to why I should be the one to be sent? Well, because if I do get there then you'll get a very long blog post as to what I've been up to while there with as much detail as my addled brain can muster up and ramble about. And that's it, well the ones that I could narrow down at least. Yeah, I know in the Nuffnang requirements it says pick only three but honestly how can you when there's just so much to see, do and eat? I believe when you travel you have to be a gourmand and not a gourmet. You have to gorge while you savor and not be too fussy or picky about things. Anyway, Macau sounds like a hell of a place to visit and even if I don't get there courtesy of Nuffnang and the Macau Government Tourist Office you can be sure that it's in my list of places to go and visit at some point in the future. 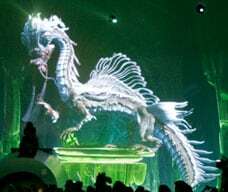 And at the very least those of you who bother to stop by and read this post might get curious about Macau and get in touch with the Macau Government Tourist Office yourself to plan your own trip to Macau. Well that's it. This is the end of this blog post, but before that and without being presumptuous I'd like to thank Nuffnang Malaysia and The Macau Government Tourist Office (MGTO) for organising this little contest and giving us the opportunity to experience Macau. wow! well written! All the best! Thank you Melvin! And congratulations to you too!! Thanks Abang Fadli! Of course I will. Hai! Wow tahniah! Love that your blog has more variety of food I never heard before. Enjoy your trip!